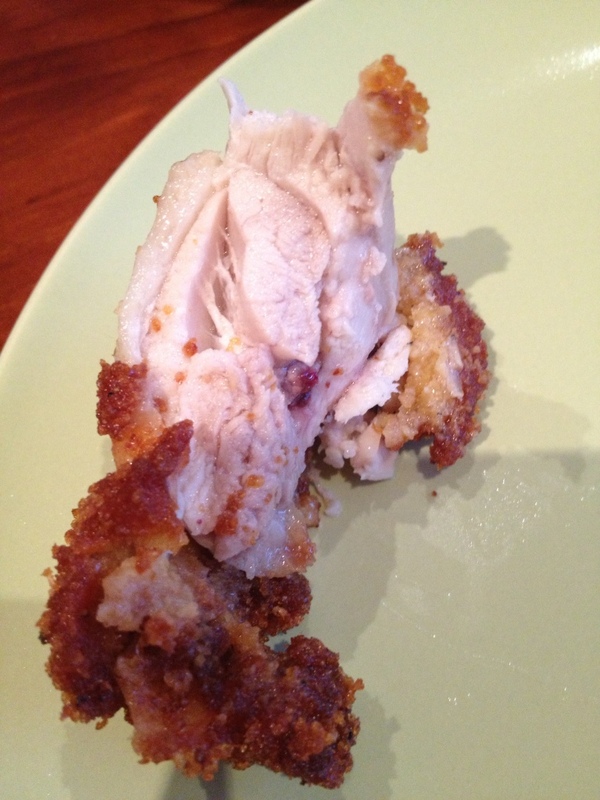 The Chick had her hopes set on the magic of a home fried chook. 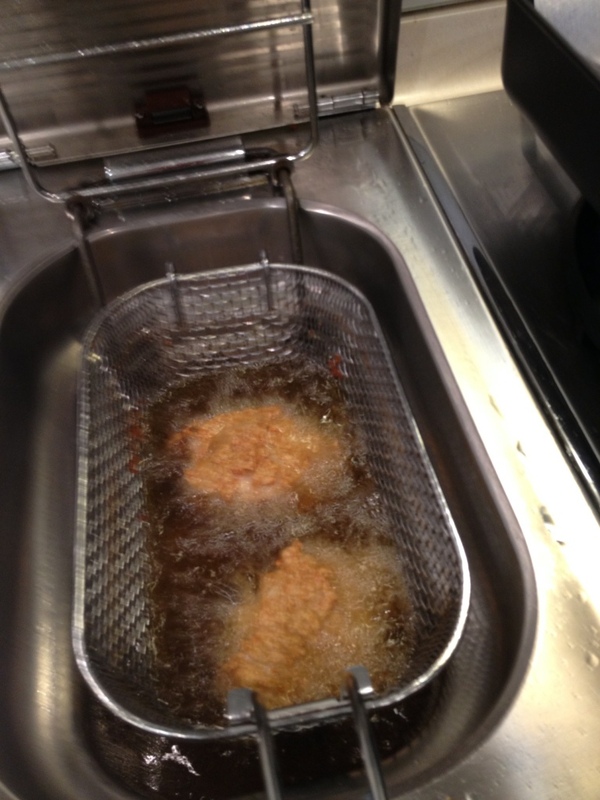 As luck would have it, their kitchen came equipped with a deep fryer. 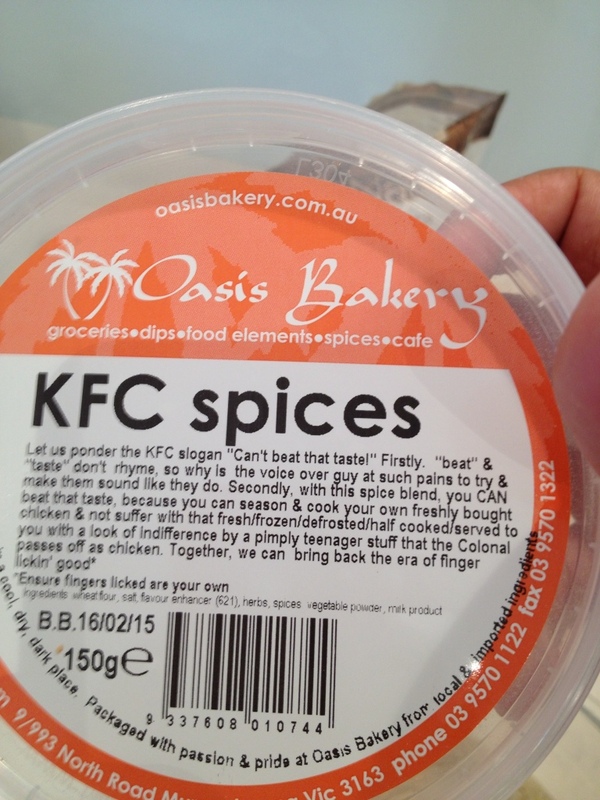 So they dubbed the kitchen, The Chook Lab, suited up and got to work in hope of producing their own Melbourne Fried Chicken. The rib cage we held out for stock, which Hollywood made into a delicious dish, but that’s another blog for another time. Oil: canola, used 2x before, but strained before reuse. Mixed the breading ingredients in a bowl. Whisked the eggs on a plate. Covered the chicken pieces in the egg and then placed in a seal-able sandwich bag along with plenty of the breading mixture and tossed repeatedly to achieve even coating for each piece at a time. Repeated the process for each piece to get double coating effect. We placed the breaded chicken into the hot oil and shaked the chicken the frying basket for the first half minute to ensure it doesnt stick. 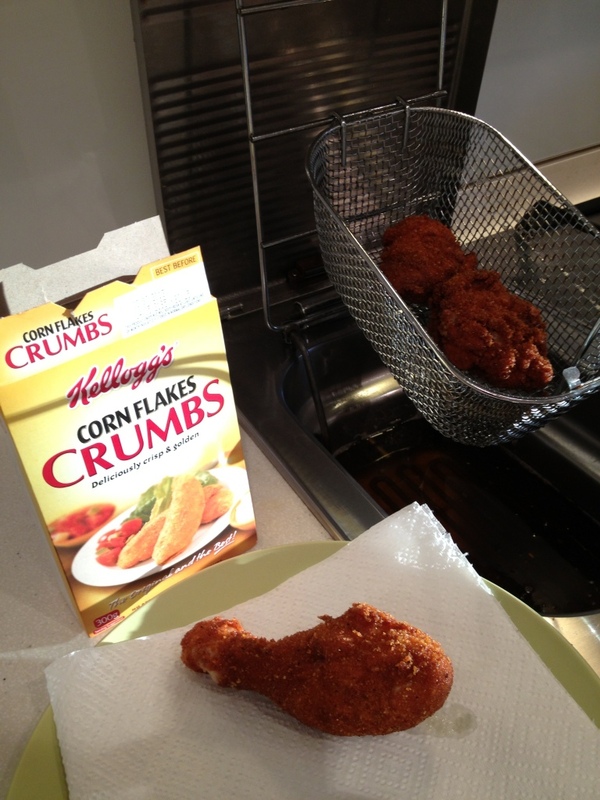 Th temperature of the oil was reduced to 140 degrees C after 5 minutes because the breading was starting to crisp. 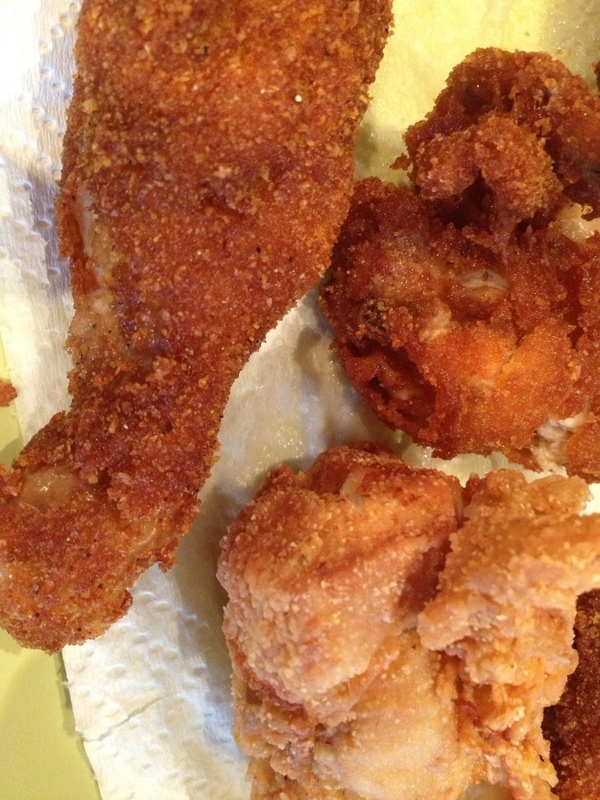 drumsticks cooked in 8 minutes while the thigh took 9 minutes and the breast took 10 minutes. Afterwards the pieces were kept in a heated oven (heated to 150 degrees C and then turned off) for 5 minutes. 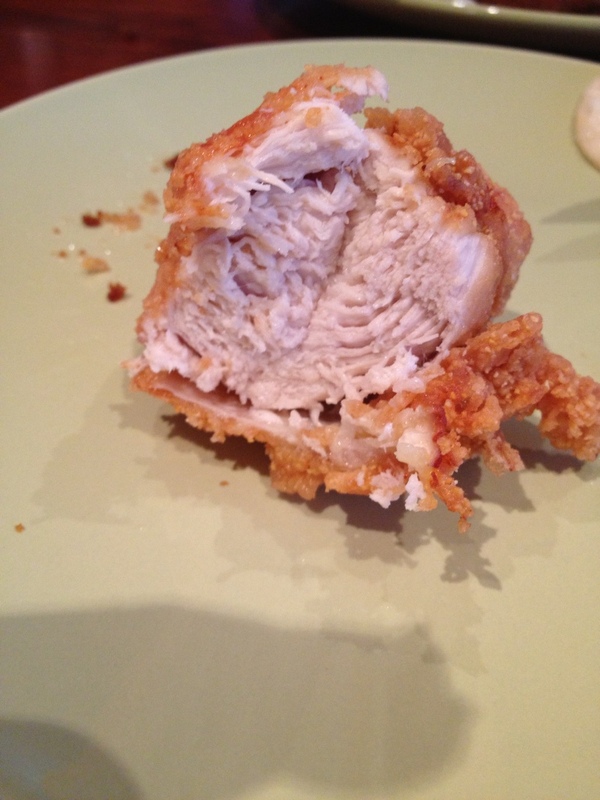 Chicken was a bit sweet and tasting like breading for a fish fillet. Not what we were looking for. And one of the drumsticks didn’t cook all the way through. Clearly we needed a meat thermometer. Heated Canola oil to 170 degrees C and dropped 2 drumsticks and then lowered temperature to 150 degrees C.
The oil was put back to 160 degrees C. The thigh and half chicken breast were dropped in for 9 minutes and the heat was turned down to 150 degrees C towards the end. 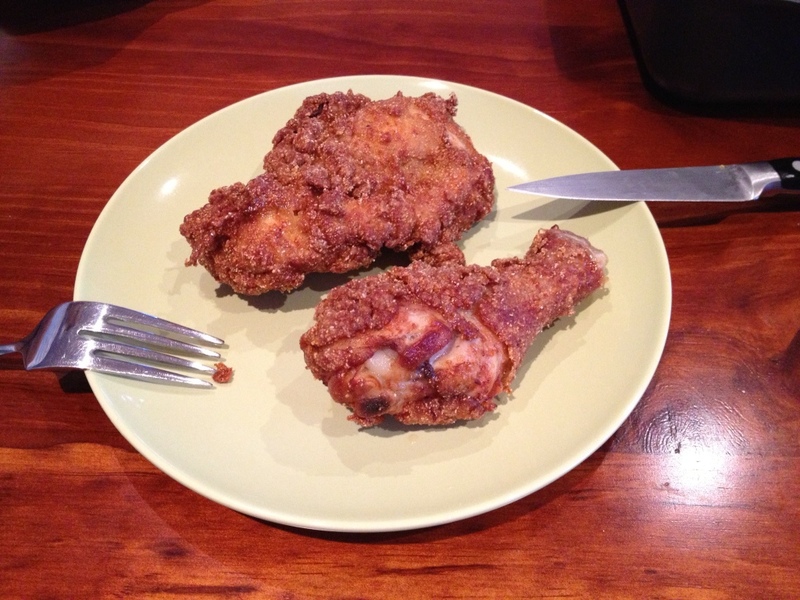 Finally, the wings and long double coated breast were put in to the 150 degrees C heated oil for 9 minutes. The thermometer showed the right temperature for all remaining pieces. 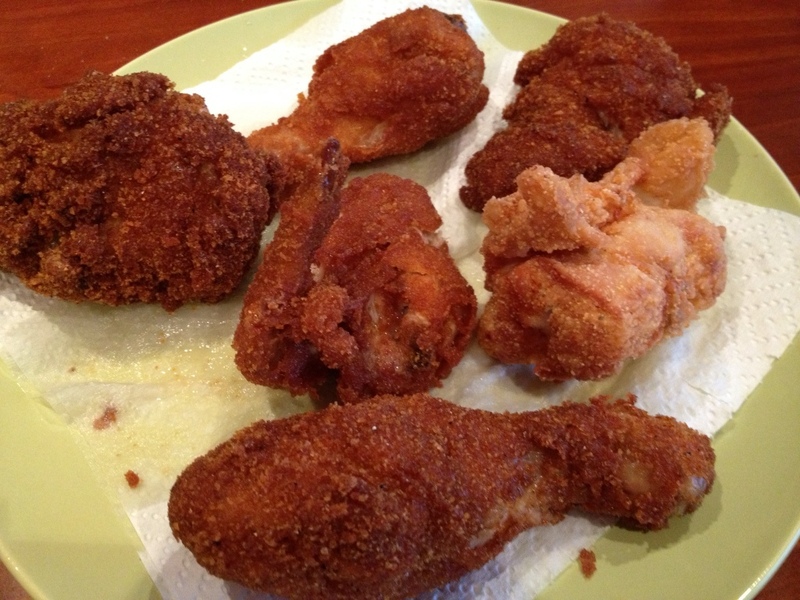 The drumsticks were cooked through and all the pieces had crispy skin. 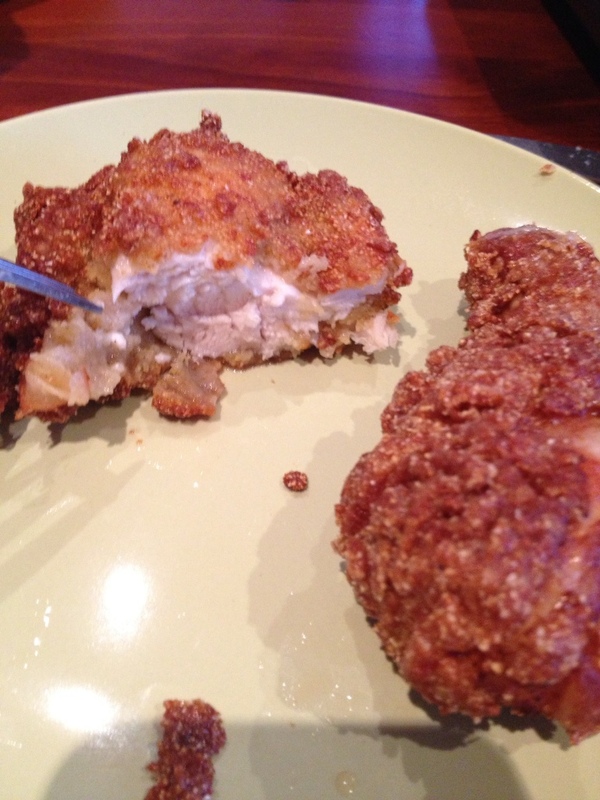 There was a slight heat that slowly creeps up on you with this recipe. Most of the pieces were cooked except the thighs. Clearly, we have more work to do to compete with the professionals. Perhaps more sampling will be required. Next up ….